I scarcely have the right to use this ghostly verb is a curatorial project that uses Jorge Luis Borges's "Funes, the Memorious" as a springboard for the investigation into the ways in which temporal distance, in our case, that created by generational divides, can lend itself to the rereading of historical events. 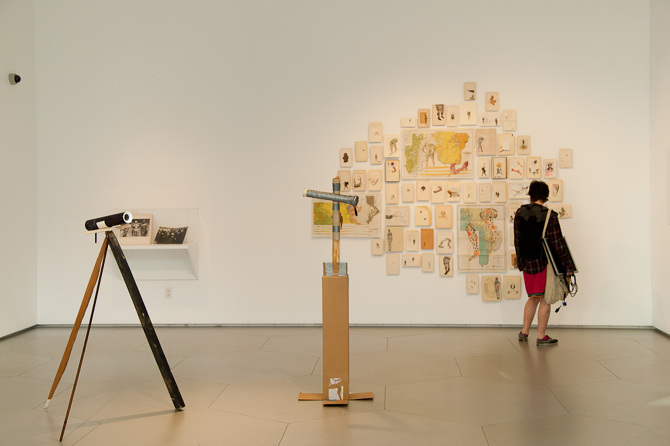 The exhibition took place in the spring of 2014 at the Arnold and Sheila Aronson Galleries. 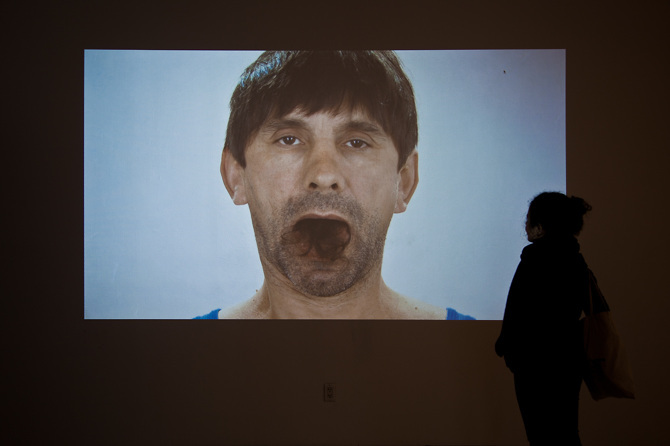 It featured works by Mounira Al Solh, Firelei Baez, Tatiana Istomina, Reena Katz & Pablo Gomez Uribe, Heather M. O'Brien, and Paz Ortuzar, as well as pieces from The New School collection by David Wojnarowicz and John Albok. The exhibition was curated by Maricruz Alarcón, Pieter Paul Pothoven, and Ilyn Wong. In addition to the exhibition, the project saw the launching of a publication that includes texts and images from artists, scholars, and writers, whose contributions augment the dialogue proposed by the works in the exhibition, intermingling the personal and the collective. Additionally, there was also a night of film screenings featuring Ignacio Agüero's Not to Forget, Camila Guzman's The Sugar Curtain, and Chen Chieh-Jen's Military Court and Prison.